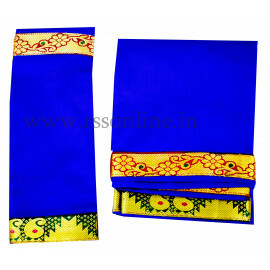 Colours and designs May Vary depends upon the stock availability. arees are used. For male god panchkatcham, thundu & dothies are used. Amman pavadai will suit for sitting as well standing ammans. 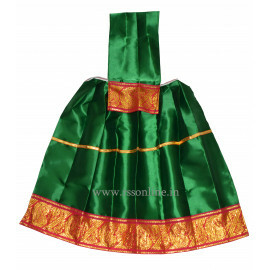 Amman pavadai comes with required top also. No need to purchase separately. 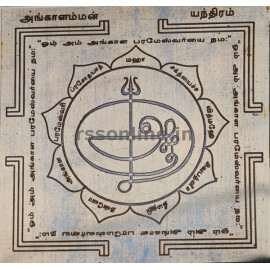 Amman pavadai is readily available from 2 “ to 24” . 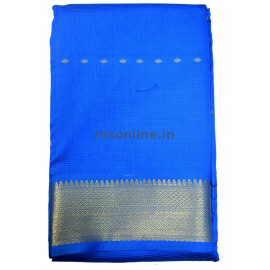 For amman upto 3 ft height people prefer amman pavadai and for more taller ammans people prefer sarees. 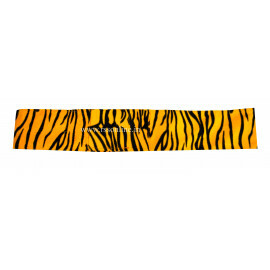 God dress and accessories is available in lot of colours and designs but fast moving amman pavadai colours are yellow, red, green & orange. Amman pavadai comes in endless designs. 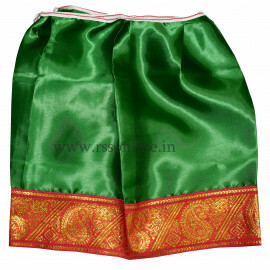 Amman pavadai is available in materials like cotton, silk, satin, velvet etc. 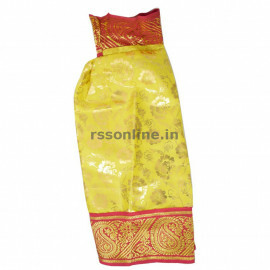 Amman pavadai price varies based on the design and cloth. Amman pavadai 2” will suit for 3” idol. Amman pavadai 4” will suit for 6” idol. Amman pavadai 6” will suit for 9” idol. Amman pavadai 9” will suit for 12” idol. 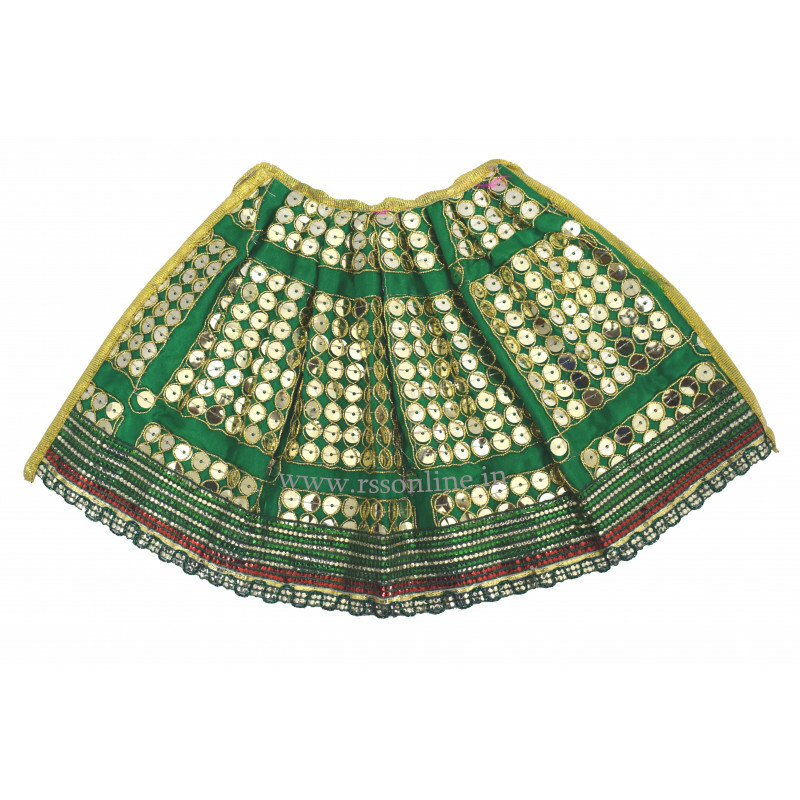 Amman pavadai can be washed and reused also. But the durability is less. In Temples devotees buy & donate Amman pavadais. If the idol size is known then the devotees can donate the right size amman pavadai. 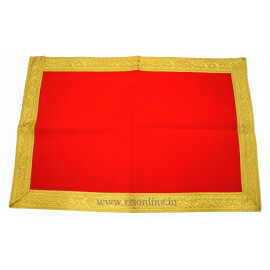 Amman pavadai need to be purchased at specific stores which sell temple items and products not in general textile shops. Available at Raja Spiritual Super Market (P) Ltd., and now you can buy online at www.rssonline.in.